Go Hydrology! : California orange giveaway? 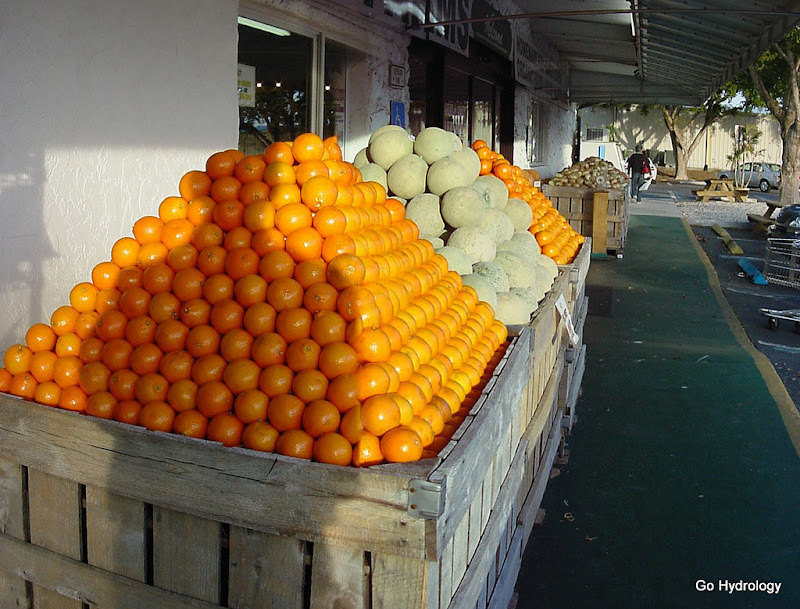 Organic California Navel oranges at 30 cents a piece is a good deal, right? Not in south Florida, where they are more likely to elicit a yawn. You see, January is Honeybell season in Florida. All the more so because the season is so short. Why is it the best things never last? I feel the same way about the Clementines from Spain. Large carbon footprint, but only those from Majorca are worth buying. Dang! I wish we could grow those honeys here. The ones you buy in the store just aren't the same. Good books, by the way, last a long time, and they're one of the best things in life. I've never been a clementine fan -- maybe I had one of the bad batches you spoke about. And yes, that was an especially good batch of honeybells they got in. They are delightfully sweet.